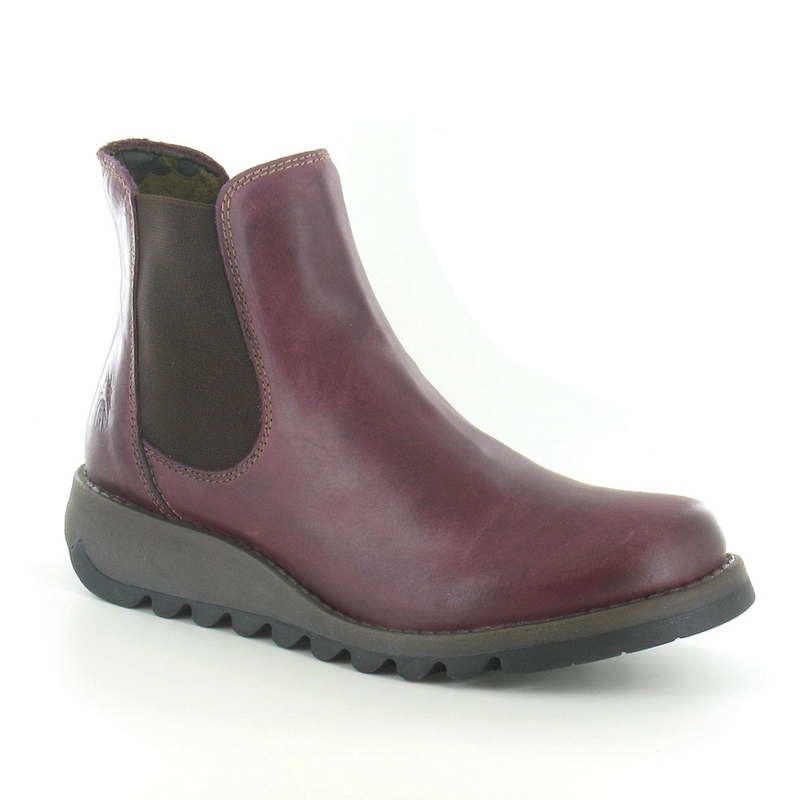 These Salv womens's boots by Fly London have a traditional Chelsea boot cut featuring twin side elasticated panels that make slipping the boots on and off nice and easy. The Salv's uppers are made from a deep purple coloured leather that has a pleasant burnished finish with natural high and low tones. Rising to height of 12cm (5 inches) the Salv fits nicely under jeans but also looks great with opaque tights. The leather panels on the upper of this fabulous women's ankle boot feature double stitched seams in contrasting thread for extra durability and strength. Inside, the Salv women's Chelsea boot is lined with a synthetic soft to the touch fabric, in a bold retro print, which adds a luxurious soft feel to the inside of the boots and gives additional warmth. Showing its Fly London heritage the Salv's sole unit has a 35mm (1.5 inch) wedge heel and is moulded to feature the Fly London branding and the stylised fly symbol on the heel.